Note: The following is an occasional column sent by Sen. Ron Sharp to news outlets in his senate district that includes Luther. For yet another year, the Oklahoma legislature was unable to meet its statutory requirement to fund public education by April 1st. However, only twice since the statute’s enactment in 2003 has the deadline been met by the legislature and there were extenuating consequences in both cases. 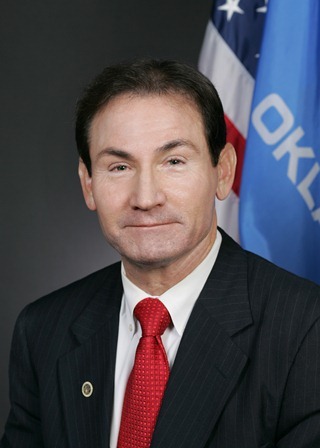 In 2003, the Republican Party had pushed a budget agenda to fund Oklahoma’s public education by April 1st of each year. Labelled, “Fund Education First” it was a way for the then minority party to demonstrate its support and commitment to the proper funding of education by making it the priority over all other state agency funding requests. In 2003, the majority Democratic Party, who had controlled Oklahoma’s legislature for 90+ years, argued that attempting to fund public education by April 1st wasn’t a practical expectation. After all, nearly 39% (the highest state appropriation percentage) of the total budget historically goes to public education, and if the budget was completed by April 1st, it could actually drastically reduce that spending level. However, HB 1247 was enacted in 2003 with strong Republican and Democratic support, which statutorily requires the legislature to create an education budget by April 1st. In 2004, the legislature accomplished their goal. The problem with HB 1247 is that there wasn’t a penalty placed upon legislature for failing to meet the education funding deadline. From 2005 to 2017, the April 1st deadline was never met including when the Republican Party gained control of both legislative chambers in 2008. Unfortunately, what appears to be a good idea isn’t always a practical one. As transformations in the Oklahoma budgeting system evolved, the April 1st deadline became less practical. There have been three major changes in Oklahoma’s educational budgeting process. One such change happened during Gov. Brad Henry’s administration with his direct involvement in creating the budget. Before his administration, the legislature drafted a budget and sent it to the governor for approval, line item veto, or a complete veto of the budget. Since then, the House, Senate and Governor have formed a three-way negotiating process to create the Oklahoma Budget. The second change was moving the deadline for local school boards to renew teacher contracts from April 10th to the first Monday in June through SB 309 (2009). The third most recent change in the budgeting process occurred in 2012 with the creation of The Office of Enterprise Services (OMES). This agency was created to provide fiscal accountability and transparency to the revenue and spending of government agencies. While the Equalization Board sets the final spending limits in mid-February of each year, it isn’t until late April that OMES determines the actual funds available for appropriation for the next fiscal year after prior spending obligations have been determined and provided for in the budget. What remains is new revenue that can be spent by the legislature. Apparently, transparency and accountability requires some extra time. For only the second time since its 2003 enactment, the legislature did meet the April 1st deadline in 2018 and “fund education first”, which included the Governor’s signature. However, this entire education budget was later repealed in its entirety in May 2018 and replaced with SB 1600, which created a new budget with over $60 million of additional dollars to education. The expectant April 2018 “Teacher Walk-Out” was, without question, a strong motivator for the legislature to meet that deadline. However, the deadline still proved to be a problem of practicality. Budget negotiations are ongoing. Two major education bills are awaiting consideration in Senate Committees. HB 1780 would provide an additional $1,200 pay raise to teachers. HB 2502 would provide a $1,000 tax credit to teachers. But there are also six other major revenue bills awaiting consideration for other areas of state government including HB 2304 to provide a 4% COLA for all retirees in Oklahoma’s seven public employee pension systems including former teachers. This bill alone has a price tag of nearly $851 million. All together the eight revenue bills would cost more than $1.1 billion but the legislature only has $574.5 million in additional revenue available so tough decisions will have to be made. To contact me at the Capitol, please write to Senator Ron Sharp, State Capitol, 2300 N. Lincoln Blvd. Room 412, Oklahoma City, OK, 73105, email me at [email protected], or call (405) 521-5539. Soltution…try further taxing that Turnpike you supported being developed on your neighbors’ properties. It was supposed to cure everything including local economies! While your busy with that, accept you’re a lover of Big Government controlled by foreign interests and ask them what our education system should look like, register as a Democrat and stop wasting our time sir. Please also update your aged/inaccurate photo so we may all recognize you in the public square and seek you out for praise and accolades! You deserve it given your sacrifice to public office.